Have you been following our war with Yemen? This statement, at face value, may seem a bit confusing. The United States is not in open conflict with any nation, and we haven’t formally drafted a declaration of war since 1941. But since becoming a superpower, the American definition of war has become twisted for the sake of political convenience. Despite the deaths of nearly 3 million in Vietnam and a reckless spillover into neighboring nations, the conflict was never referred to as more than a “police action.” The United States has had its hands in an abundance of various military engagements in the past few decades, ranging from sponsored coups to full-scale invasions. Close to 30 million have died in American “police actions” since World War II. Regardless, you’ve likely not heard anything about American troops in Yemen. But if we are not at war with Yemen, why are they dying at the hands of our weapons? 10,000 lay dead in the nation as we speak. 17 million more are teetering on the brink of starvation. The worst cholera outbreak in history is already affecting 800,000 people – half of whom are children – because two thirds of the nation lacks access to clean water. They are the victims genocide on behalf of Saudi Arabia – one that is funded almost entirely by the United States. For two years, the Saudis have fought a scorched earth campaign against all of Yemen in an attempt to starve the nation’s Houthi rebels into submission. 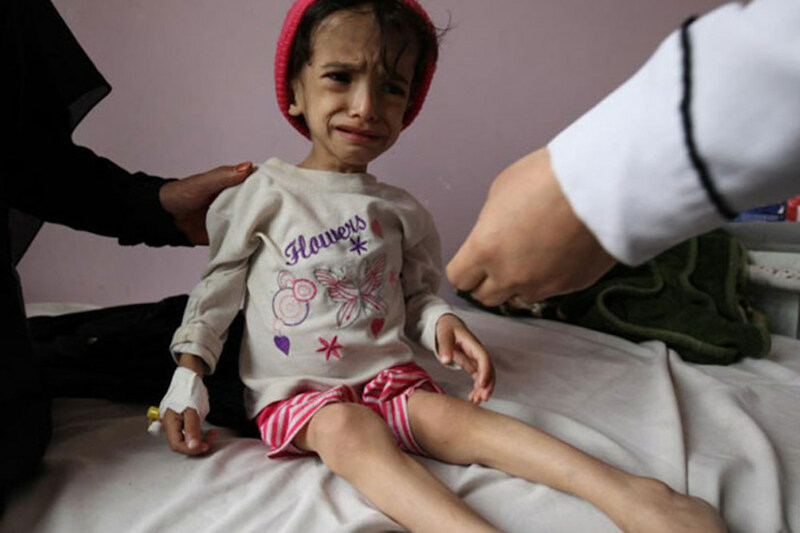 The nation, which previously imported 90% of its food, has been devastated by a relentless blockade by the Saudi navy and air force (this blockade has been slightly relaxed, but only enough to tease the Yemeni people with hopes of relief). 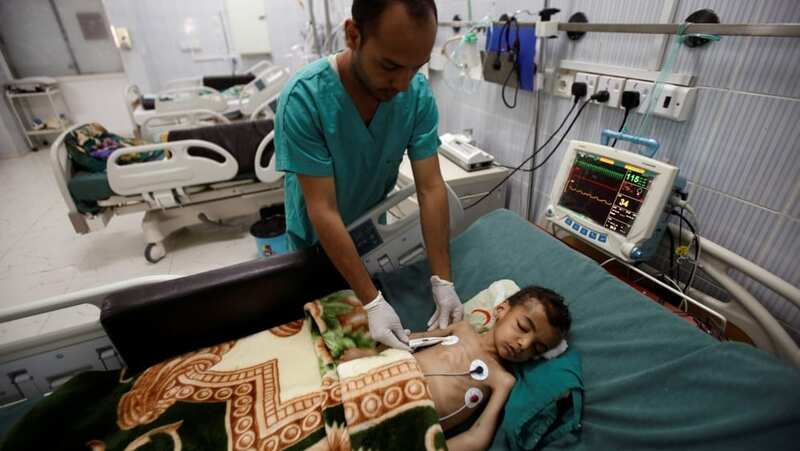 Hospitals and municipal water systems have come under fire from Saudi warplanes. The operation, quite ironically given the name “Restoring Hope”, has already been referred to as a “humanitarian catastrophe” by the United Nations. Saudi Arabia is desperate to prevent the Iran-backed Houthis from winning the civil war. It is unlikely that Yemen will recover for decades. But for the Saudis, leaving the nation as a burning husk has never been too great of a consequence. As the death toll rises, they have made it clear that the lives of those caught in the crossfire are meaningless to them. But what exactly is our role in all of this? From 2009 until 2017, the Obama administration offered $115 billion in military aid to Saudi Arabia. This cost includes training, small arms, grenade launchers, night vision devices, ammunition, howitzers, tanks, attack helicopters, bombers, air-to-ground missiles, missile defense systems, and combat ships. In the past, our reliance on Middle Eastern oil resulted in a clear mutual benefit – Saudi Arabia was happy to trade their oil with us in exchange for security. But the deals have only increased in scale as the United States has become increasingly self-sufficient. In May, the Trump administration made concrete plans for another $110 billion in aid; while much of this deal is based off of assumptions that Saudi Arabia will continue to buy weapons in the future, at least $500 million in precision guided munitions is already set in stone. To put it simply, we can no longer plead ignorance. The problem is not just that the planes raining death upon the Yemeni people are provided with daily refueling and targeting assistance on our behalf – the problem is that these planes and the missiles they are dropping were created by the United States. The hospitals full of malnourished children that are now piles of rubble weigh on us. This is not us brushing an ally’s flaws under the table. It is us fully enabling them to commit genocide. What is perhaps most sickening about the entire situation is the fact that the United States doesn’t stand to gain much at all regardless of who comes out on top of Yemen’s civil war. We are interested in maintaining a healthy relationship with Saudi Arabia regardless of what they do, stemming from our desperation to have an ally in the region against Iran. Our political motivations have made us forget our empathy. The repeated failure of bills in congress meant to limit munitions to the Saudis has shown once again that money rules all. As millions stand on the brink of death, the United States has been silent. And once again, we are left wondering how many lives the military industrial complex must consume before it is satisfied.